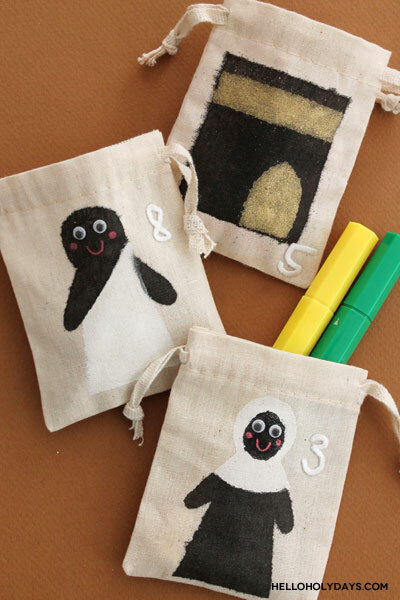 DIY Eid al Adha Calendar with Fabric Bags – Hello Holy Days! I’m excited to announce my recent partnership with Kid Made Modern where I’ll be using Kid Made Modern products in my craft tutorials! 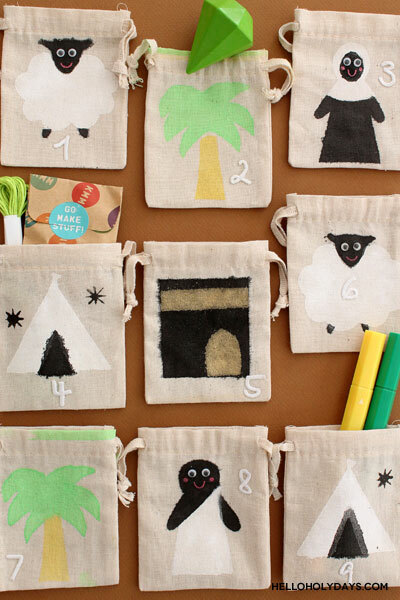 Today, I’m sharing with you an awesome DIY for Eid al Adha. 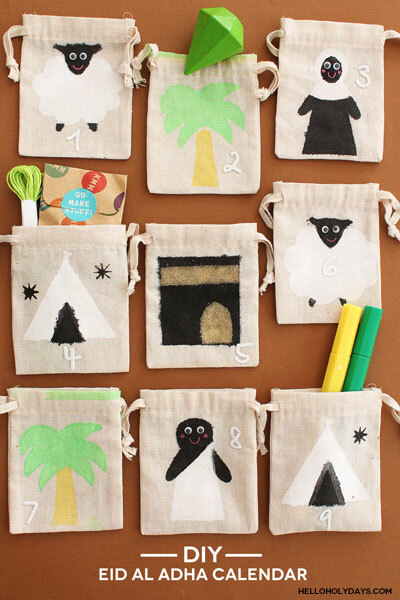 It’s an Eid al Adha calendar with fabric bags! 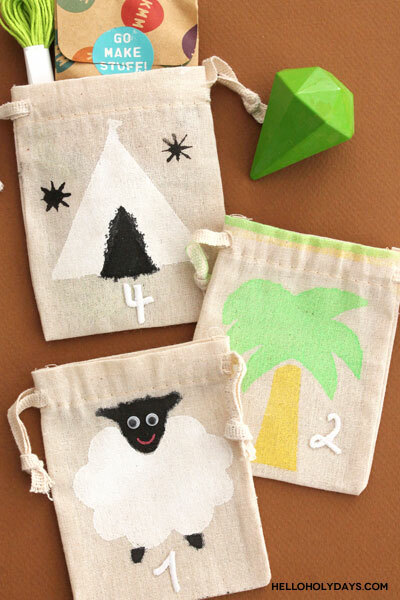 Here, I used Kid Made Modern’s textile spray paint to make these adorable fabric baggies that serve as a countdown calendar. When I first took a look at Kid Made Modern’s website to see which products I like/ what I could work with, I was immediately drawn to these textile spray paints. It’s a product I hadn’t seen much of before in the market and I can tell you – it’s absolutely awesome! 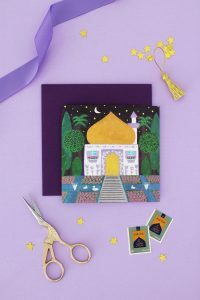 I talk more about this product and give the full tutorial for this DIY Eid al Adha calendar over on Kid Made Modern’s blog. 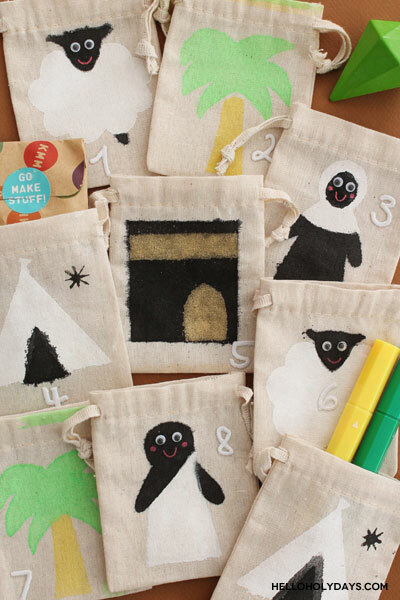 Plus, I include free printable stencils to make the calendar! Go check it out!